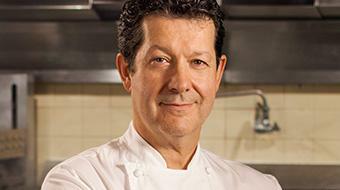 Led by scientist and sous-vide pioneer Bruno Goussault, the faculty at CREA boasts decades of combined experience. In no small part because of its team, the school has positioned itself as the leading edge of a culinary movement. Bruno Goussault is the Chief Scientist for Cuisine Solutions. He has been working with Cuisine Solutions for over 20 years where he helped design and build six sous vide manufacturing facilities in the US, France, Chile, Brazil, and Norway, as well as overseeing all of the scientific aspects of the company’s sous vide cooking processes, methods and parameters. Goussault founded CREA (Centre de Recherche et d'Etudes pour l’Alimentation) in Paris in 1991 to train chefs around the world in precise temperature cooking. Goussault has trained many of the Michelin three star chefs in Europe and the top chefs in the U.S. on the application of sous vide cooking. 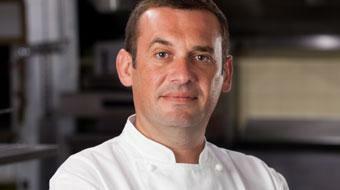 Bruno Goussault is often cited as the founder of sous vide cooking. Developed in 1971, his focus has been on precise temperature cooking, food safety, and industrial cooking applications. This work in sous vide has led to changes in the way top chefs cook for their guests in restaurants, and the way food is prepared and served on planes, trains, ships, hotels and resorts, and convention centers around the world. Prior to his work with Cuisine Solutions and CREA, Goussault worked in France in various senior scientific positions at the Société Scientifique d'Hygiène Alimentaire France for fifteen years and five years at the Société d’Etudes de Procédés pour les Industries Alimentaires. Goussault has published scientific articles, appeared on television, and presented at forums around the world. He received the Ordre National du Mérite from the President of France in 1995. He has a PhD in Economics from the Universtiy of Paris Pantheon and post graduate degree from the d'Etudes et du Developpement Economique et Social (IEDES) and a MS degree in food technology from the Ecole Nationale Supérieure des Industries Agricoles et Alimentaires (ENSIAA), now (AgroParisTech). Herve Chignon was born in Redon France in 1971. His culinary background started as an apprentice from Belliard school in Paris in Classical French Cuisine, France. He became an apprentice of Legoff Gildas, member of The ACADEMIE Culinaire. Herve was also part of the Catering Dalloyau and was a member of the Garden Elysee for the President of France. He was introduced to the Sous Vide Method and met Dr. Bruno Goussault in 1990. He has worked with Cuisine Solutions since 1992 by working in operations and head of R&D and Retail Sales. He became President of CREA in July 2016. Gerard Bertholon has served as CREA’s CEO since 2008. He was trained in his native France by three master chefs, and while still young, served as executive chef in top American and French restaurants, including La Panetière in Rye, NY, which he helped earn three stars from The New York Times. As corporate chef and global vice president of sales for Cuisine Solutions, he formed Fiveleaf, a concept that brings some of the world’s greatest chefs into people’s homes. 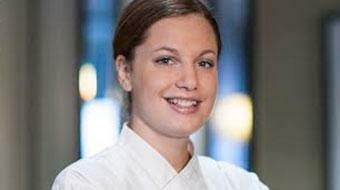 In 2012, Bertholon was named Maitre Cuisinier de France, one of the culinary world’s highest honors. 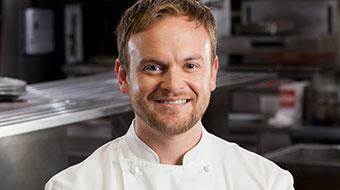 Edgar Steele graduated from the Culinary Institute of America in 2001. In 2003 Edgar met a team of chefs from Jose Andres’ restaurant group from Washington, DC, and was invited to join Andres’ company, ThinkFoodGroup. During 5 years, Edgar helped develop a creativity-focused culinary destination called the Minibar, a small bar sectioned inside of Café Atlantico. Edgar parted ways with ThinkFoodGroup in 2010 to join Cuisine Solutions. He worked in 7/27 business development and sales for four years. In 2015, Edgar was awarded the opportunity to train under Cuisine Solutions’chief scientist Bruno Goussault and join the team of CREA in the quest for discovering new aspects of cooking, pushing the boundaries of culinary evolution. 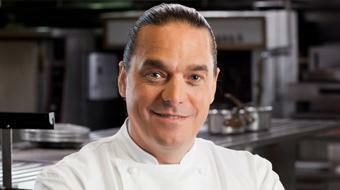 A native of France, Bruno Bertin was an instructor at Le Cordon Bleu in Japan. In addition to teaching courses at CREA, Bertin currently serves as executive chef for Cuisine Solutions, where he researches and develops sous-vide recipes. Bertin formerly was Sous Chef at Restaurant Daniel in New York and Executive Chef at Daniel’s Feast and Fetes Catering. Born in Paris, Luong received her French high school diploma in science and went on to earn a three-year university degree in biochemistry. Afterwards, she joined the engineering school Institut Supérieur d’Agriculture (ISA) in Lille and graduated in 2007. 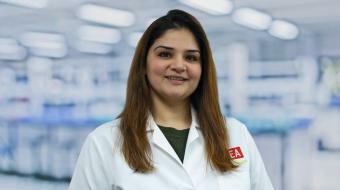 She was recruited to CREA in 2008 and now works as an engineer consultant, training chefs in sous-vide, developing and researching products and perfecting food safety techniques. As vice president for quality assurance at Cuisine Solutions, Sylvie Porphire leads food quality and safety programs for the company’s American, Chilean and French processing facilities. Prior to joining Cuisine Solutions 13 years ago, she worked for Nestlé France, studying the physiochemical characteristics of cocoa products. Porphire has a M.S. in food science from the National Engineering School of Agronomy and Food Industries in France. She speaks French, English, Spanish and Portuguese. "CREA offers more than a set of tools—it creates a mindset. It teaches you to approach your dish like a scientist."